the orchestra. Its unique visual approach, which uses simple, colourful illustrations and diagrams alongside a wide range of musical examples, allows parents and children to work together to understand even the trickiest concepts of music theory. Feature boxes on composers and musicians across a variety of styles and genres help children and parents learn and discover more about music, while guides to writing your own melody and harmonizing a song melody encourage budding composers to have a go at writing their own music. This book is also packed with musical examples, which you can listen to on the accompanying free audio app. 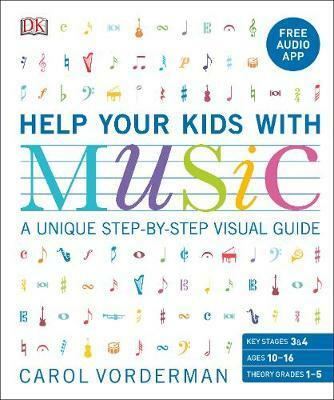 Perfect for exam preparation, homework help, or learning to read music as part of learning an instrument, Help Your Kids With Music is a clear, accessible guide that will help parents and children understand even complex music theory and put it into practice with confidence.